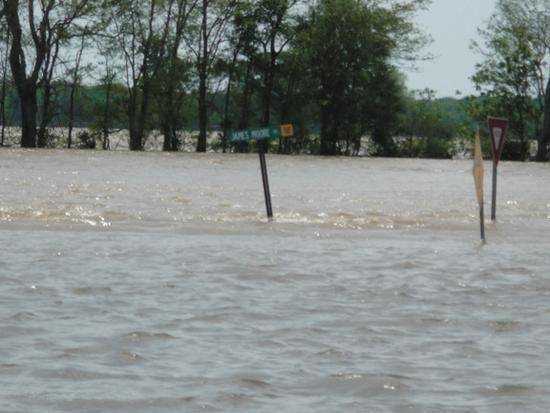 Photos taken during the 2011 Flood in the Dyersburg, Tennessee area. 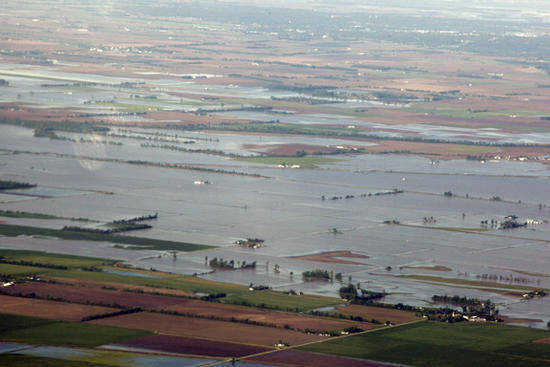 SEMO News Service photo An aerial photo shows the floodwaters of the Mississippi River at the I-155 Bridge separating Dyer County and Caruthersville, Mo. The river was at 44.05 feet on the Caruthersville gauge on Saturday. 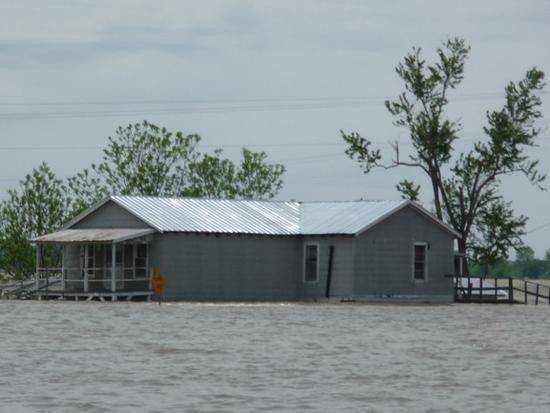 The river is expected to surpass the 1937 record level of 46 feet by late Monday and rise to 46.88 feet by Thursday. 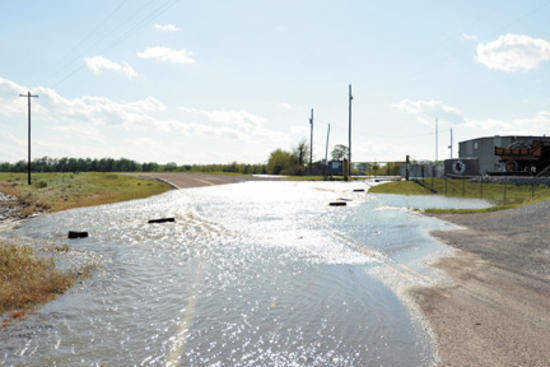 A moat fills with water behind a residence on Highway 182 in Big Boy Junction. 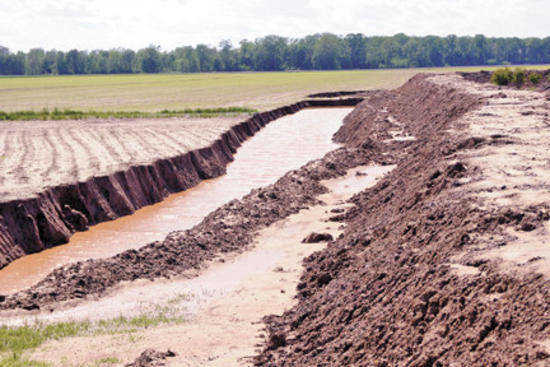 The moat and levee were dug to protect a house that could be affected by floodwaters from the Obion River. 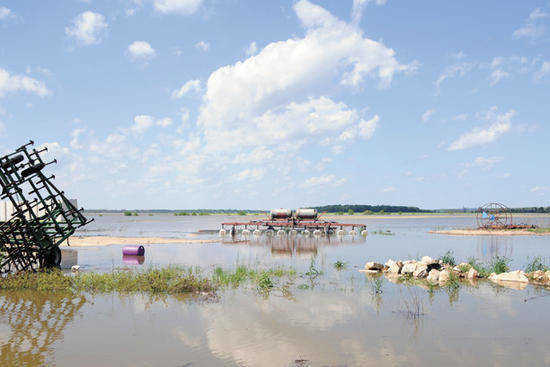 SEMO News Service photo Farm equipment begins to become submerged in floodwaters in a field between Richwood Road and the Chic community. 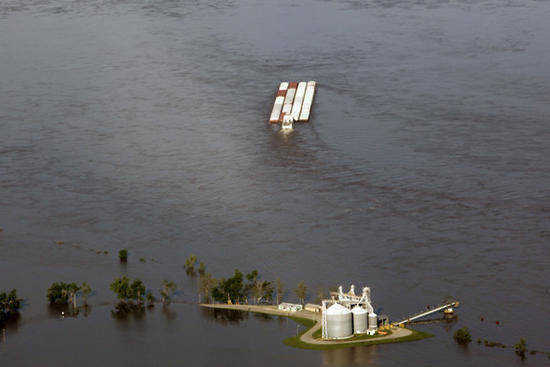 Floodwaters from the Mississippi River flow over Highway 104 west at Choctaw Transportation on Thursday. The areas of Chic, Midway and Heloise are beginning to fill with water from the manmade breach by Great River Road and the Obion River and this overtopping.